Just when it would seem that no one could create a more luxurious pickup than the ones already in the market, someone does. 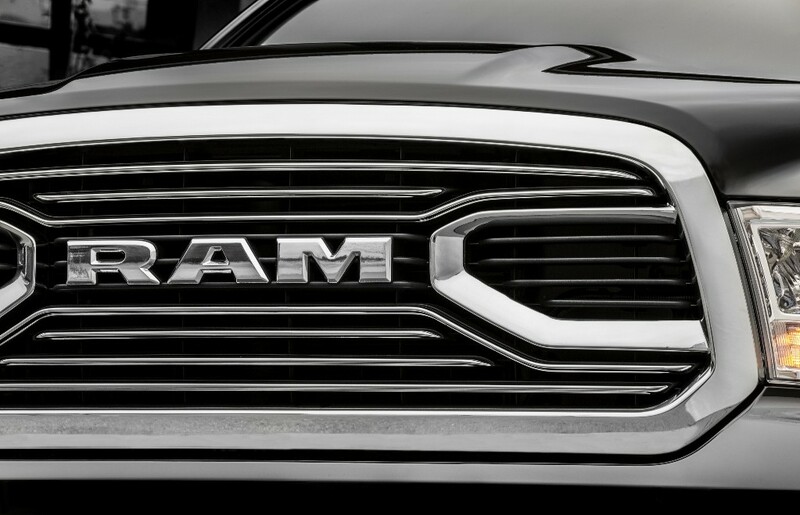 This time it’s the Ram Brand, which is introducing a new Laramie Limited Edition at this week’s Chicago Auto Show. Bob Hegbloom, President and CEO of Ram says that the new edition is designed to exceed the expectations of affluent truck buyers. I say it is probably going to be on the wish list of those who strive for a distinctive look and the features (like the only diesel on a current full size pickup). An alternative to the Southwestern themed Laramie Longhorn (or Bighorn) Edition, the new truck features all-black full-leather seating, real wood interior components and unique badges. It will be available on the 1500, 2500 and 3500 models with the 1500 being the first to market. An all-new grille is front and center on the interior with a body-color fascia, fog lamp;s and a matching painted rear bumper. Bright chrome on the front and rear bumpers is an option, but some 2500 and 3500 vehicles will come with chrome as standard. Quad headlamps on each side of the grille include a bi-functional halogen projector system. Sidemarkers include a total of 18 LEDs for park/turn/position and side markers. The glow is softened by a vertically ribbed inner lens. There are chrome accents for body-side molding with etched “Limited” mirrors, door handles, window molding and standard wheel-to-wheel side steps. 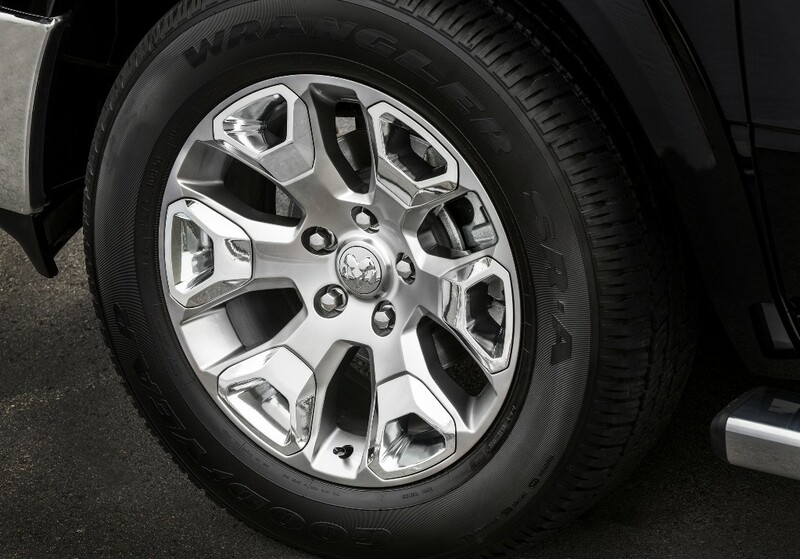 The 1500 features new 20″ forged aluminum wheels. Polished surfaces are accented with painted silver and heavy duty truck models will also have new wheels — 20″ fully-polished six-spoke wheels with embossed centers. 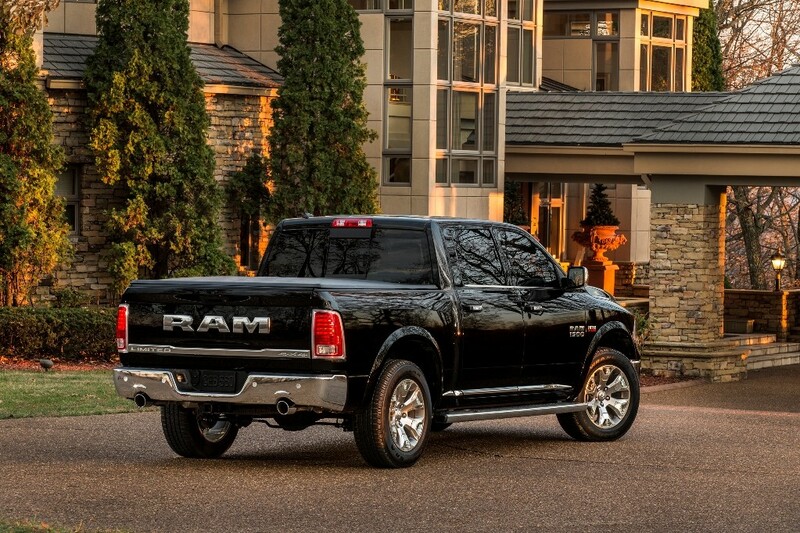 A new tailgate design features a 20″ wide bright Ram badge and it is coordinated with chrome accent lines at the base of the gate. The rear lamps echo the appearance of the headlamps. Seven colors are available. 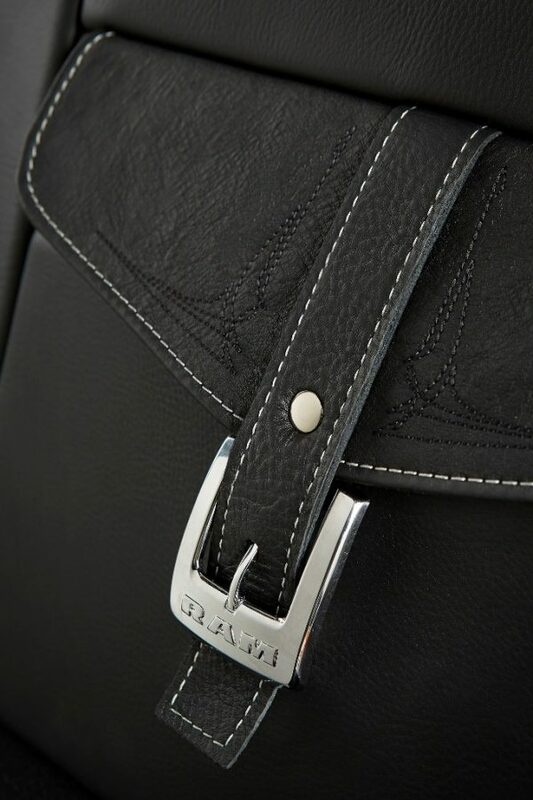 On the inside, high-end treatments such as pin striping and subtle stitching are up close and personal with a black leather cockpit in premium leather with graystone piping and — taking a cue from its Southwestern sibling — the Limited features leather map pickets with modern chrome buckles. The double-stacked center console is topped with French-stitched full leather treatment and a badge identifying it as Limited. A new bin houses room for a cell phone and tablet holder, concealed by a wood tambour door. All wood is the Black Argento and a silver pinstripe runs through both the wood and satin chrome handle. The same luxury accents are repeated from the steering wheel through the pillars and the shifter on the 2500 and 3500 heavy-duty models. The Limited has liquid graphite-faced gauges with liquid chrome rings taking a fashion accent from many high-end watches. Modern font, white accent lighting and other design features coordinate with the rest of the Limited while creating distinction from its competition in the high-end truck market. 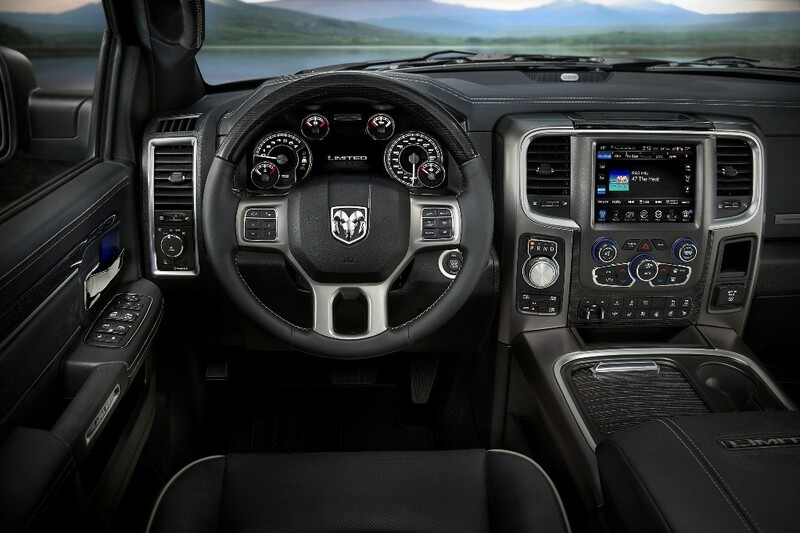 The entire interior theme is repeated with electronics and features that one should expect on a truck at this level. The included upgrades do not stop with the Limited’s visual features. 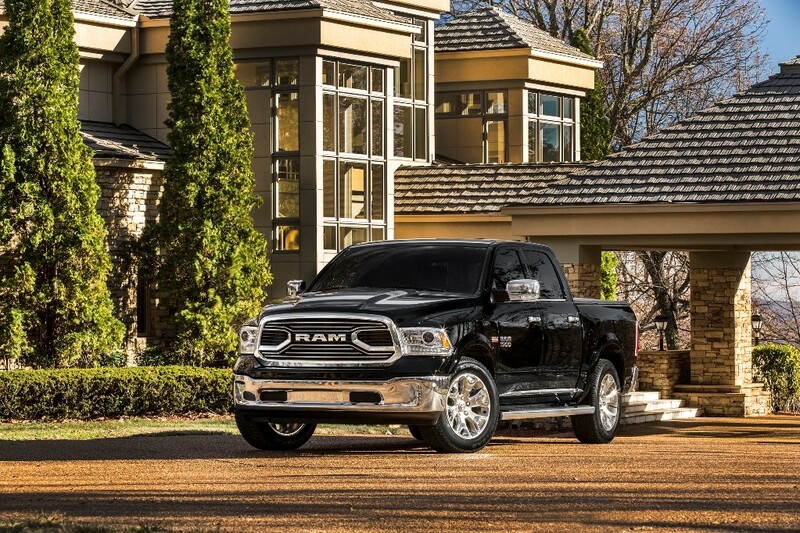 Air-suspension is included on the Ram 1500 version, along with wheel-to-wheel side steps, upgraded radio and nav system, remote start, back-up camera, power adjustable pedals with memory heated steering wheel, front ventilated and heated rear seats and Rambox (heavy Duty 6’4″ bed only). The 1500 will be available during the second quarter of 2015 as a 2015 model, while the 2500 and 3500 Limited versions will be available in the third quarter as 2016 models.